※ Simultaneously control：Move and arrive the same time. 1. Manual Jog Safety Tests. User can use 9999 variables to calculate such as Plus , Minus , Time , Divide , AND , OR and so on. 3. 512k byte Program Memory Capacity. 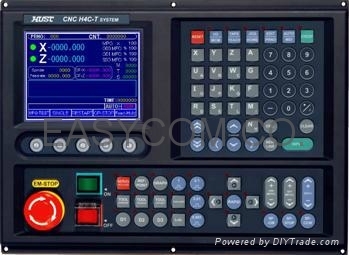 Upgrade quickest and most convenient way to system, PLC and screen display. 6. Spindle can use Inverter or Servo spindle.